For all your Personal Protection equipment and supplies. 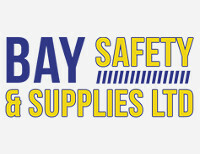 Bay Safety is a provider of quality safety products and apparel in the Bay of Plenty area. An extensive product range is available, with the flexibility to cater to specific product requirements. Competitive pricing keeps Bay Safety at the forefront with the market leaders. Service is one of the most important benefits Bay Safety customers get and a belief in going the extra mile to create a beneficial working relationship with our customers. Education e.g Schools, childcare, Polytech's etc. You can choose from a massive selection of safety equipment and work wear for all types of workplaces. Our top quality safety clothing, equipment, and supplies will help keep yourself and your employee's safe, when dealing with hazards or operating in dangerous environments. Contact the experts at Bay Safety and Supplies today.